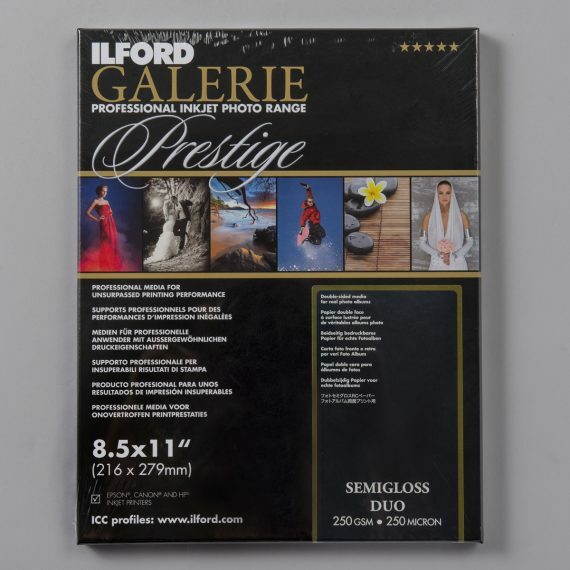 Ilford Galerie Prestige Semi Gloss Duo 250gsm | Beau Photo Supplies Inc.
Ilford Prestige Semi Gloss Duo is a 250gsm double-sided resin coated inkjet paper with a professional semi-gloss surface. Instant dry. Beau stocks size 8.5×11. For optimal print results, we recommend downloading the ICC Profiles for this paper here.